This is an interactive app that allows the teacher and students to create and record your creations. Screenchomp is like a portable smartboard that students can share and work on their own time. This app also allows for students and teachers to interact with each when no in the classroom. Using this app in the classroom allows students to create a story, act out a math problem or make a presentation for their peers. This app allows the students to work on their project any where and edit as they need too. Journal jar is an app that can be used online or an mobile device. This app gives you a variety of topics for your students to write about. I would use this app in my classroom for daily writing. 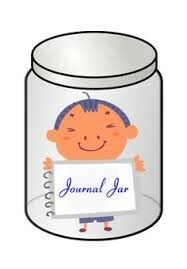 To involve the students I would have the app on the smartboard and have a name selector choose who gets to shake the jar. Once the topic is picked, there would a group discussion on what we could right about. Then I would the students time to write in the journal. 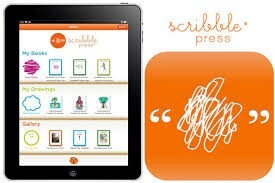 Scribblepress is available for free through itunes and online. The app allows for students to create and share stories. Scribble press allows you to have a private group with your class. Having scribblepress in the classroom, will allow my students to use their imagination and create their own stories. Also, having class created books engages the students with what their peers have created and giving them a sense of ownership. Storykit is another free app from itunes. This app allows the user to create their own digital stories along with changing classic stories that are loaded in the app. With this app it will allow my students to record and edit their creations and share them with classmates. Creating their own stories or changing up a classic story will give students many ways to engage their imaginations. 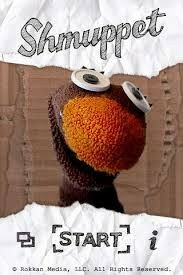 Shmuppet is an recording app with puppets that allows the user to record a video and share them with peers and teachers. This app could be used in allow areas as the creator you can pick the topic that you are wanting to record about. This app allows you to create a 30 second recording on the topic that you choose. Would be great app for presenting short videos created on students or lessons from the teacher.